Former classroom teacher, principal and superintendent David Adamson shares his favourite strategies for organizing and managing classrooms. 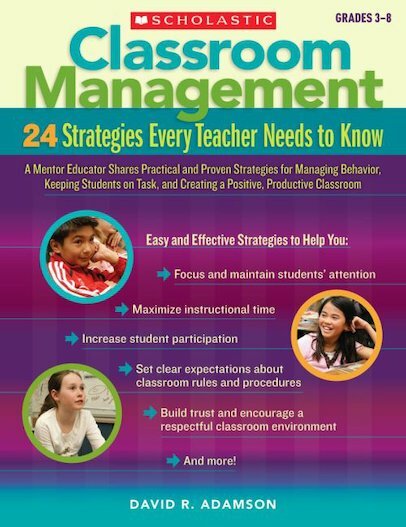 Written with both new and experienced teachers in mind, this tried-and-tested approach helps you prevent behaviour problems and effectively intervene when they do occur. You’ll learn how to set clear expectations for classroom rules and routines, and how to build a respectful learning environment. You’ll also find heaps of simple, effective ways to focus and maintain your students’ attention, increase student participation and maximise teaching time.